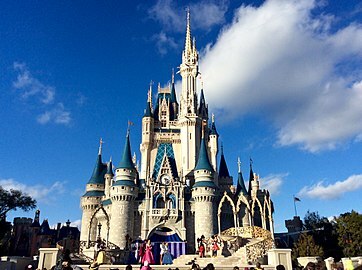 The Walt Disney World Resort, also called Walt Disney World and Disney World, is an entertainment complex in Bay Lake and Lake Buena Vista, Florida, in the United States, near the cities Orlando and Kissimmee. 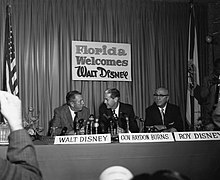 Opened on October 1, 1971, the resort is owned and operated by Disney Parks, Experiences and Products, a division of The Walt Disney Company. 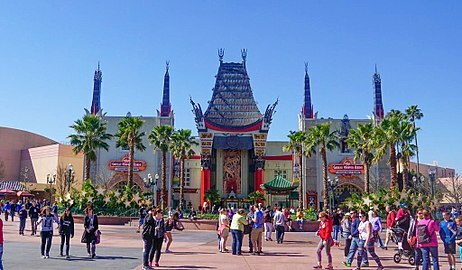 It was first operated by Walt Disney World Company. 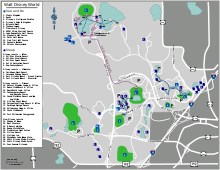 The property, which covers nearly 25,000 acres (39 sq mi; 101 km2), only half of which has been used, comprises four theme parks, two water parks, twenty-seven themed resort hotels (with another one coming on the way), nine non-Disney hotels, several golf courses, a camping resort, and other entertainment venues, including the outdoor shopping center Disney Springs.